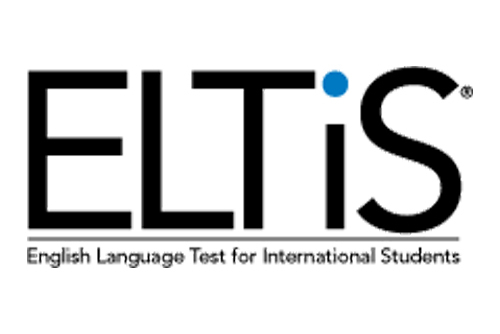 The English Language Test for International Students (ELTiS) is a standardized test designed to measure the listening and reading comprehension skills of high school age English language learners. 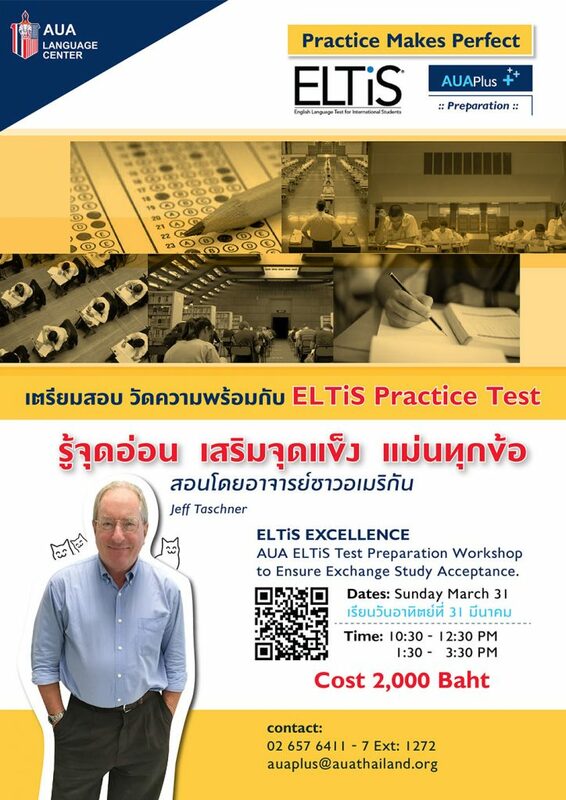 The ELTiS is intended to evaluate students’ ability to manage the English language requirements of secondary school classes where English is the language of instruction. 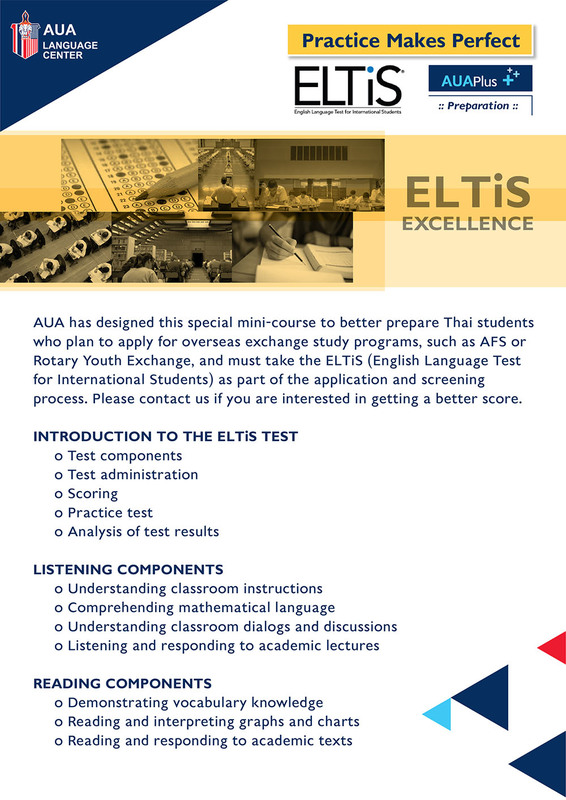 AUA Language Center was established as a bi-national center in 1952 under the auspices of the American University Alumni Association formed in 1921 under the patronage of His Majesty the King to “promote further mutual understanding between the people of Thailand and the United States through instruction in their respective languages, customs and traditions.” Read more..